Across the Middle East, countries banned from purchasing armed drones from the US due to a weapons embargo are increasingly gravitating towards Chinese defense manufacturers, according to a new report from the Associated Press, sales that "are helping expand Chinese influence across a region vital to American security interests." "The Chinese product now doesn’t lack technology, it only lacks market share," said Song Zhongping, a Chinese military strategist and former lecturer at the People’s Liberation Army Rocket Force University of Engineering. "And the United States restricting its arms exports is precisely what gives China a great opportunity." The sales are supporting China's expansion across a region home to many strategic US military bases, as well as, future routes for Beijing's Belt and Road Initiative. "It’s a hedging strategy and the Chinese will look to benefit from that," said Douglas Barrie, an aviation specialist at the International Institute for Strategic Studies. 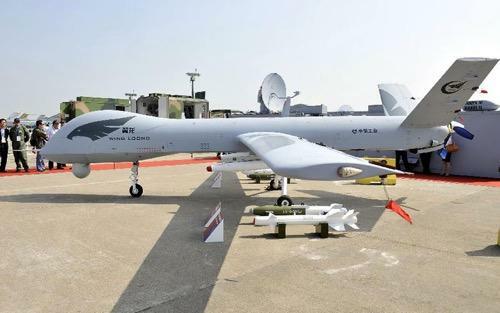 The AP notes that Chinese drones are more frequently conducting aerial operations in the skies above Saudi Arabia, Jordan, Nigeria, Yemen, Iraq, and the UAE thanks to booming sales, with more than 30 China Academy of Aerospace Aerodynamics's Cai Hong 4 (Rainbow 4, or CH-4) medium-altitude, long-endurance unmanned aerial vehicles worth $700 million being sold to countries since 2014. Chinese arms exports have expanded 38% from 2008 to 2012 and from 2013 to 2017, according to the Stockholm International Peace Research Institute data. Earlier this year, a spy satellite passing above southern Saudi Arabia snapped a pictured of US surveillance drones and Chinese-manufactured armed drones, parked side by side at an airfield. According to the Center for the Study of the Drone at New York’s Bard College, both drones were being used in the war in Yemen, has emerged as a "sort of a testing ground for drones," said Dan Gettinger, the co-director of the Center for the Study of the Drone. The CH-4 is the largest Chinese export. It is a replica of General Atomics’ Predator and Reaper drones, and in a global economy where emerging market currencies are getting crushed, the Chinese drone is the most appealing because of the low price. A CASC executive spoke on condition of anonymity to AP, said US drones like Boeing’s Stingray, introduced earlier this year for the US Navy, still hold a technological advantage. 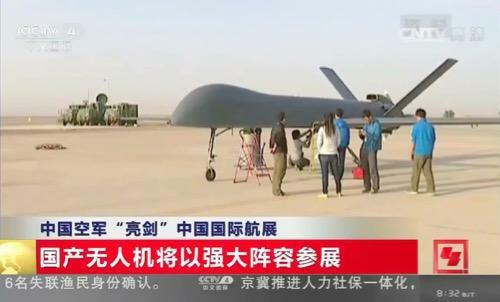 China recently transferred a Wing Loong II, an armed unmanned aerial vehicle roughly equivalent to the American MQ-9 Reaper to the UAE. Since 2013, President Xi Jinping has ramped up the development of fifth-generation jet fighters, new aircraft carriers, laser guns, space weapons, hypersonics, and the militarization of the South China Sea. It has even transferred some of this exotic technology to its close allies like Pakistan. China still lags behind the US in total weapon exports, but it is catching up. The rapid growth of China's share of the global drone market shows that countries are willing to buy cheaper defense products than overpriced weapons from the US. This is sure to upset America's military-industrial complex, who are already looking for a fight with China judging by the rhetoric coming from the White House. And as American exceptionalism is slowly dying, China is catching up... and the world wants more Chinese drones.